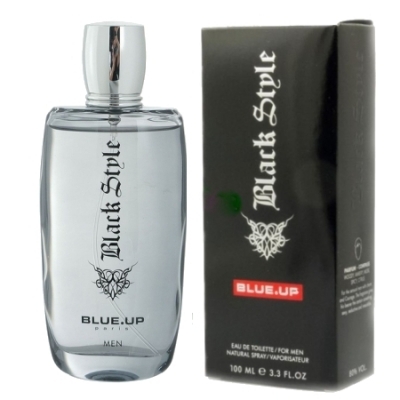 Blue Up Black Style is a Oriental Woody fragrance for men. Citrusy opening makes a great introduction into the sweet and spicy heart of the composition. Deep and dark sweet fruity notes of the heart are replaced by woodsy notes and amber in the base. In such sweet surrounding amber tends to take a tobacco nuance, while the musk tames the extreme masculinity of this scent.